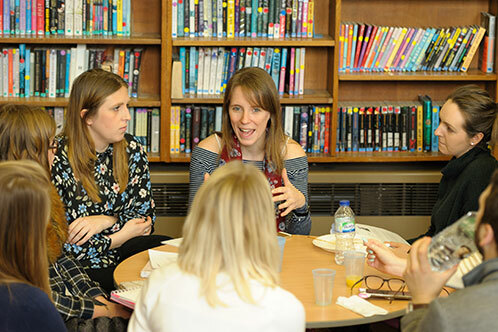 All of our programmes lead to the award of Qualified Teacher Status (QTS) and all Associate Teachers have the option of adding a master’s level PGCE qualification to their programme. QTS is known as the ‘professional award’ and a PGCE is known as an ‘academic award’. A PGCE qualification is not required to be a teacher in this country. We have worked closely with our partners at Oxford Brookes University to develop a focused and relevant PGCE which is worth 60 master’s level credits. Due to its optional nature, the PGCE is funded by the individual candidate, please see the details below. Each year around a third of our Associate Teachers undertake this additional element in their training year, whilst others focus solely on their QTS programme. It is increasingly common for people who have gained QTS to undertake a PGCE further into their career and Oxford Brookes University, among a number of other Universities nationally, are happy for people who have trained with us to undertake the PGCE in subsequent years. The final decision about undertaking the PGCE element does not have to be made until your programme has started and you will have the opportunity to find out more about the specific details and ask questions in June or July prior to making the final decision. For Associate Teachers on the tuition-fee programme the cost of the PGCE is contained within the higher course fee (£9,250) while those who do not undertake the PGCE programme simply pay a lower course fee (£7,750). Those on the part-time route will take the PGCE in the first year of the programme and the structure will be the same as for full-time Associate Teachers. Associate Teachers on the salaried programme finance the PGCE element themselves from the salary that they receive, at a cost of £1,500. Although the decision to undertake the PGCE is up to each individual, it is a requirement that Salaried Associate Teachers gain the written support of the Headteacher of their employing school; this is due to the more demanding nature of this route. For the tuition-fee programme the taught ‘face to face’ aspects of the PGCE take place within the regular working day, so there is no additional time commitment; those not taking the PGCE will have additional self-study time while those taking the PGCE attend their taught sessions. For those on the salaried programme most of the ‘face to face’ sessions will be within the working day, but there will be a few additional sessions taught in the evening. The exact details of the PGCE programme are currently being reviewed but, as an overview, the programme contains three modules each of which is assessed with extended written assignments. Each module draws on relevant educational research and is designed to inform the classroom practice of the individual Associate Teacher. Please note, a separate UCAS application is not required for the PGCE element, full details about how to enroll will be issued during the summer induction/ training period.